This fall, students at the University of Wisconsin-Milwaukee will save some cash by shopping for textbooks online via the new UWM Virtual Bookstore. Through a partnership with eCampus.com, the university hopes to enhance student success by making textbooks and course materials more affordable and convenient to purchase. eCampus.com's Internet pricing model adjusts textbook prices based on actual market pricing, helping lower the overall cost of course materials. Students are expected to save up to 60 percent on their textbooks and materials, potentially saving $480 per year per student. In addition, students will receive free two-day shipping on all orders placed through the Virtual Bookstore, with no membership fees required. 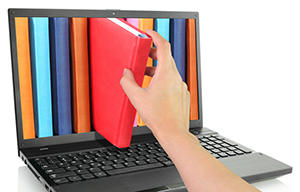 A rewards program provides students with Virtual Bookstore in-store credit for their purchases from a 300-plus online retailers — offering students a way to earn free textbooks. eCampus.com will also provide UWM with textbook scholarships, general scholarships, event sponsorships and campus promotions. To complement the UWM Virtual Bookstore, a brick-and-mortar eCampus.com Store@UWM will be housed in the University's Student Union, staffed with employees to assist students with their textbook orders. Students can opt to place orders, pick up orders, sell textbooks and return textbook rentals in the physical store, or order online through the UWM Virtual Bookstore to have their purchase delivered directly to their doorstep. "This program offers savings to students that just wouldn't be possible with a brick and mortar bookstore," said Scott Peak, UWM's executive director of auxiliary services, in a press release. "Schools across the county are going to be moving to online book sales because it is so cost-effective. With the traditional model, bookstores spent large sums shipping books they didn't always sell and that cost got passed on to customers. This new model is student-friendly and ensures the only books being shipped are those students want and need."